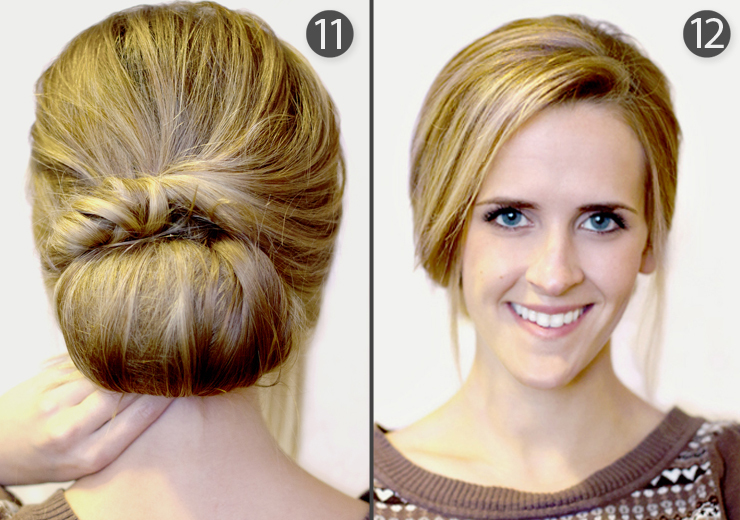 This is a tutorial I created for latest-hairstyles.com. 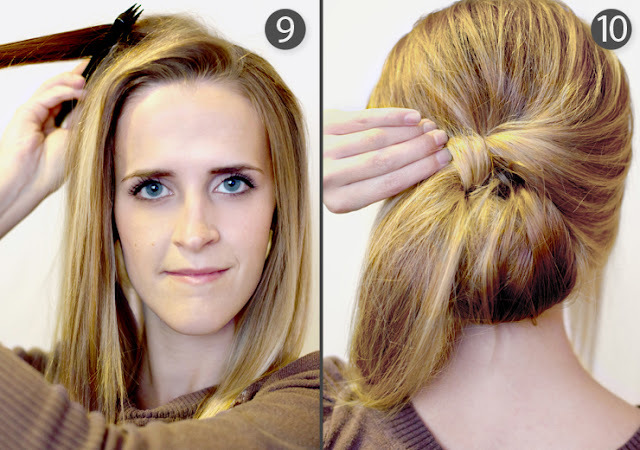 I think this style would be great for a holiday party. 1. 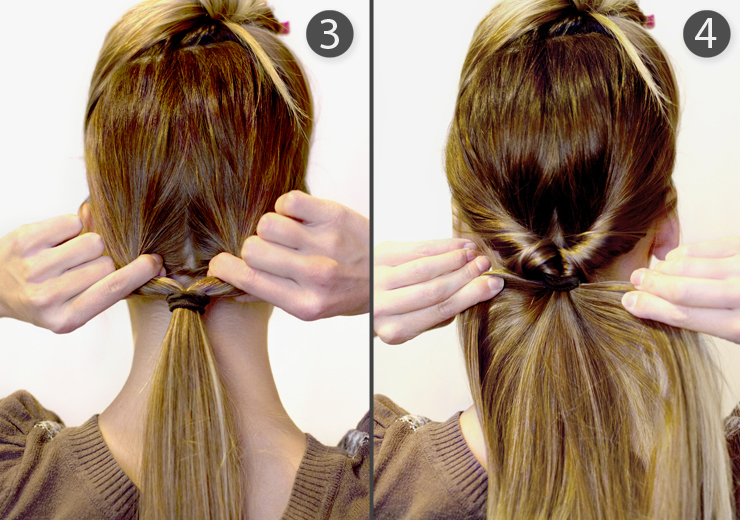 Begin by clipping the top half of your hair aside for later. 2. Once the top half is clipped up, put the bottom half in a low ponytail at your nape. 3&4. Create a small hole at the base of your ponytail and push the ponytail upward and down through it, creating an inside out ponytail. 6. 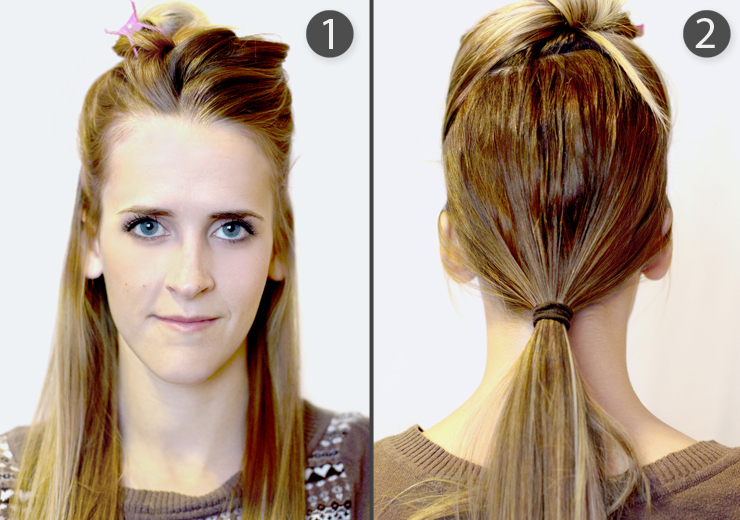 Once the ponytail is backcombed, use your fingers to roll the ends of the hair upwards, creating a chignon. 8. 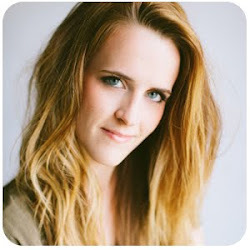 Let down the top half of your hair and create a deep side part. 9. Backcomb the top half of your hair. 10. Pull all of the hair from the top half loosely back and twist it one time, pushing it upwards and towards your scalp to create more volume. 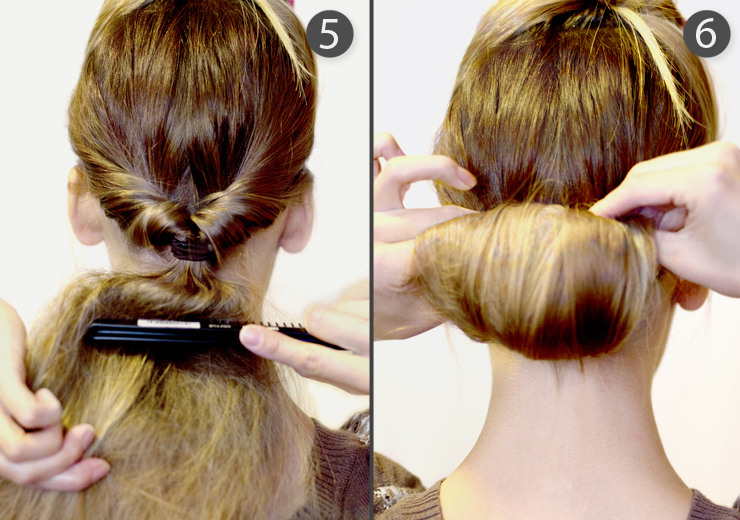 Secure it with bobby pins so it rests right on top of the chignon. 11. 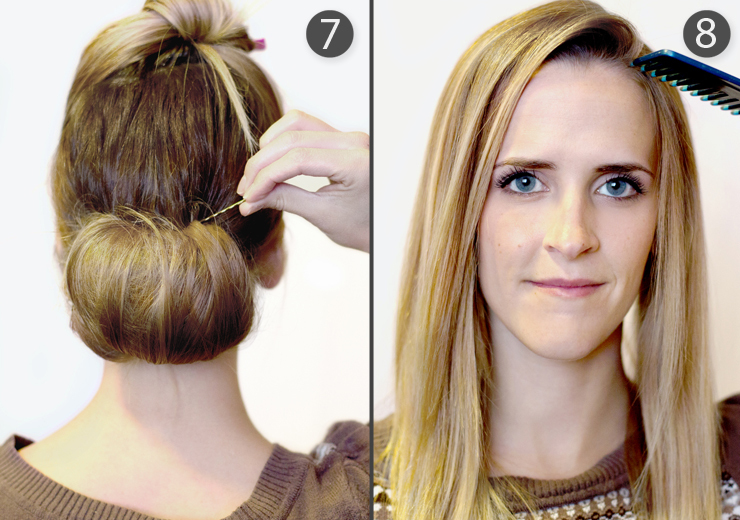 Continue to loosely twist the hair through to the ends, wrapping the ends around the side of the chignon and securing them with bobby pins underneath. 12. Gently loosen some small hairs around your face to soften the front.